A critical look at Roger Clemens, Barry Bonds, the Mitchell Report, and the adulteration of American sports. The Super Bowl is over. March Madness is fast approaching, with NBA and Stanley Cup playoffs close behind. Spring training for the new baseball season has begun. Year after year, season by season, sports fans across the country shift their attentions, polish their loyalties, and renew their hopes: maybe this year, just this once, it won't again be "wait 'til next year." For many decades, America's most significant athletic contests have been our most popular civic rituals, temporarily removing us from the normal rhythms of everyday life. Medieval Europeans built cathedrals; our ancestors built civic monuments and memorials; we build sports palaces. There we gather, not only vicariously to taste the sweetness of victory but also to celebrate together all that is perennially great in human sport--excellence, grace, and the intense moments that separate triumph from tragedy. It is easy to dismiss sport as a triviality, and some highbrows will always do so. Yet these games that youngsters play somehow seem to capture both the lowest and the loftiest possibilities of embodied human life, eliciting in participant spectators and spectating participants the full range of human passions, from rapturous joy to paralyzing despair. But all is not well in the world of sports. The football season began with a superstar banished for killing dogs and ended with a United States senator charging espionage; former Olympic winners are forced to return their medals; and the baseball season will open under a cloud of steroids and finger-wagging congressional hearings, which put one of baseball's greatest pitchers in the stocks. More generally, many contemporary fans believe that the golden age of sport has long since passed--that modern athletics has become both corrupt and corrupting. Athletes are mercenaries, goes the lament, driven by the love of money. The pursuit of excellence has been sacrificed to spectacle, shaped more by the demands of television profits than the dignity of the game. Our heroes are often villains, with no regard for the law of the land or the rules of the game. Sport has morphed into entertainment, and sportsmen into unsportsmanlike trash-talking punks. It was not always thus, the old man sighs, longing for the days of Ruth and Gehrig, Williams and DiMaggio. Our nostalgia, of course, is something of a distortion, if a noble one. Our ignorance of the sporting past--the vanity of the original Greek Olympians, the base passions of the original Roman fans, the tawdry character of many early twentieth-century baseball stars, the point-shaving and other gambling-related scandals--allows us to forget that much of what we lament about the present is not at all novel. And when it comes to the recent past--the era that today's graying elders remember longingly from their now lost youth--it is far more pleasant and ennobling to remember the best and to forget the worst; to judge today's athletes against an idealization of those who came before. No doubt, a generation hence, tomorrow's elders will do the same, longing for the days of Tiger Woods and Derek Jeter and Peyton Manning. Yet if nostalgia is a danger, so is failing to reckon squarely with an adulteration of sports that is, in fact, unique to our age. For the nature of athletics has indeed changed greatly from the naked runners and wrestlers of Athens and Sparta to the would-be champions of the Beijing Olympics. In the modern era we have seen a series of dramatic changes in what it means to be both an athlete and a spectator. The first great transformation was captured powerfully in 1981 in the film Chariots of Fire, which dealt with the Olympics of 1924: it portrayed the cultural shift, then just emerging, from the amateur to the professional. Exercise became training; practice became drills; the pursuit of victory became a science (and a business). The new professionals quickly accomplished feats unheard of in the days of the amateur--with more power, greater speed, and unprecedentedly complex strategies of execution. The original men of the gridiron would find much about modern football unimaginable: the size and the skill of the players; the management of the game with overhead photos, helmet headphones, and aging masterminds calling every play from upstairs; the serial loyalties of players who move from one team to the next, abandoning their followers to follow the money. Combined with the new age of radio and especially big-market television, the professionalization of sport changed the ethic of the players and the outlook of the fans. With team owners raking in billions, players came to expect, and to demand, financial rewards commensurate with their value in the marketplace. They came to see their own achievements, measured quantitatively and enshrined in record books, as assets that may be "monetized" into endorsements. And fans became ambivalent about the games that they followed with such intensity. We still marvel at the games' great players, but we question their motivations. We hunger for greater thrills and broken records, but we mourn a lost purity of play that the new professionalism has crowded out. We are devoted unto death to our local teams, but we watch our hometown heroes sign contracts with our arch-rivals within minutes (or so it seems) of the city's victory parade. We expect to be entertained, but we still want sport to be something more than a circus or a rock concert. We love taking our children to the ball field, but we fear that today's superstars are bad role models for the young. Into this culture of ambivalence comes the Mitchell Report and the congressional hearings that it has prompted. The report, issued last December, is a 409-page indictment of the widespread use of performance-enhancing drugs in baseball. Commissioned by Bud Selig, the commissioner of baseball, and provoked by numerous allegations of illicit drug use by recently active and current players, the report was written by former Senator George Mitchell after months of thorough investigation, extensive interviews, and private testimony. We now live, the report declares to no one's surprise, in the "era of steroids. " Although it does little to explain how or why we entered this tawdry era, the report expresses the hope that its findings will help bring the era to an end, through stricter oversight, tougher penalties, and better education about the dangerous side effects of performance-enhancing drugs. Such reforms, however welcome, seem unlikely to halt the glory- or wealth-seeking athlete's turn to biotechnology in the pursuit of superior performance. Indeed, in a few years the age of steroids may look quaint by comparison with future doping technologies, such as genetic muscle enhancements that could be both impossible to trace and more effective than steroids or growth hormone. If professionalization was the last century's great transformation of sport, biotechnical enhancement looks to be this century's great degradation of sport. And while the Mitchell Report gives voice to a widespread concern about the disturbing effects of performance-enhancing drugs on modern athletics, it also demonstrates our inability (or unwillingness) to confront the deeper sources of the trouble. We seem to know that biotechnological enhancement is a threat to the "integrity of the game," but we cannot really articulate why. The reason is that we have lost an understanding of what makes sports truly admirable, and hence worthy of our attention and our devotion. By spending nearly all of its hundreds of pages documenting who used which drugs and when, the Mitchell Report takes for granted that using steroids and other performance-enhancing drugs is a moral and legal offense that should be opposed. It offers a brief list of reasons for the current ban: steroid use unfairly disadvantages honest athletes, undermines the validity of baseball records, harms the human body, sets a bad example for young athletes, and threatens the integrity of the game. These concerns are all genuine, but they are never subjected to rigorous analysis. Only by examining them carefully can we see their inadequacy. The fact that steroids are illegal is, of course, a good reason not to use them--but not a reason why they should remain illegal, or why they were proscribed in the first place. Declaring that steroids unfairly advantage those who use them, while true, is not a sufficient reason for continuing to prohibit their use. Why not, in the name of fairness, allow those individuals with more limited natural gifts to use steroids and other chemical agents to level the playing field, so that victory will come not to the most talented but rather to those who make the best use of their talents? Or why not allow all athletes to use performance-enhancing drugs openly and legally, thus giving everyone free and fair access to whatever enhancements they choose? Indeed, the Mitchell Report itself suggests that one of the solutions to the steroid problem is to promote other kinds of nutritional supplements that would allow players to "achieve the same results." But this begs the question: why are some body-altering or performance-boosting supplements to be applauded and others to be decried? In its claim that steroid use "victimizes" non-users by giving them three undesirable choices--lose out to the biologically enhanced, quit the game, or imperil their bodies by becoming users themselves--the Mitchell Report pushes the argument a little deeper. In an age of biotechnical enhancements, many athletes feel constrained by the fact--or by the belief--that it is impossible to compete, or to compete on an equal playing field, without them. The choice to forgo performance-enhancing drugs amounts to unilateral disarmament, virtually guaranteeing that only those taking every biological advantage will succeed. In the steroid era, the pressure to use drugs has certainly been widespread, felt especially by the many marginal players--or by minor leaguers trying to move up--for whom any edge is the difference between staying in the game and losing the big salaries that all major leaguers now earn. But if the majority of the players, as the report suggests, would truly prefer to stay chemically clean and avoid the need for this unwelcome choice, they could easily and successfully remove such pressures by agreeing collectively to expose the violators and to shame them--something the Players' Union (which urged players not to cooperate with Mitchell) is light-years away from even considering. Moreover, the concern about coercion fails to get to the heart of the matter: competition is always demanding, often coercively so, and competitive athletes are always forced to measure up to their peers in training and practice or else be left behind. And many of the sports we find most thrilling--football, hockey, boxing, downhill skiing--require putting one's body in peril. One of the athletic virtues we most admire is "playing hurt," which often means placing excellence in action above bodily well-being. Beginning with Achilles, our most celebrated heroes--in sport as well as in war--have willingly put their bodies at risk on the field of glory, accepting bodily harm and even a shortened life as a price worth paying for being remembered. Why then should we decry, rather than admire, the athlete who sacrifices his body to the game he loves, or risks life and limb in the drive to bring his team to victory, or puts short-term glory above long-term health? Even in sports that entail much less physical risk, such as baseball, concerns about adverse health effects, while appropriate, hardly seem to capture what really troubles us about steroids. 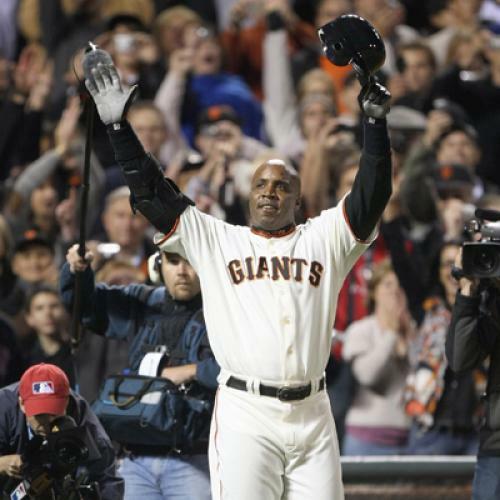 The booing of Barry Bonds and the refusal to elect Mark McGwire to the Hall of Fame had nothing to do with their risking bodily harm. Even if the drugs were legal and safe, one imagines that the record-seeking batter would not like to be seen shooting up before heading to the plate, thus revealing his chemical dependence at the very moment when he is supposed to be demonstrating his personal excellence. He may use such drugs in private, without hesitation or apology, in his quest for fame, fortune, victory, or greatness; but he would be embarrassed to be seen in the act by the very public whose adulation he craves. Why, exactly, is he ashamed? And would such shame persist for long in a culture that gradually normalized doping because it lacked any better arguments than the risk of bodily harm for maintaining the taboo against it? The Mitchell Report is surely right to highlight concern for the health effects on youthful athletes who would imitate their steroid-using heroes. The bodies and brains of still-growing young people are especially susceptible to drug-induced harms; a shocking number of teenage and collegiate superstarwannabes are already placing themselves needlessly at risk, and many more would be endangered should the taboo on these drugs be relaxed. Yet high schools, colleges, and even national Olympic committees, all bent on victory and the money and prestige that it brings, enthusiastically expose young athletes to enormous dangers to life and limb, not to speak of deforming their very lives, all in the service of glory for school and country. Sequestering women's volleyball teams or pubescent gymnasts in drug-free but monomaniacal 24/ 7/365 training camps for the Olympics arguably deforms the bodies and minds of young people even more than steroid use, cheating, or flouting the law. In the end, the Mitchell Report leaves us with a circular argument: we deride record-breakers such as Bonds as cheaters, yet we fail to articulate the deep ethical and human grounds for preserving the rules that they flouted in their pursuit of athletic glory. In its concern about the "integrity of the game," the report invites us to think about the meaning of performance-enhancing drugs for the game itself; but the various hazards it lists--cheaters win unfairly, baseball records become illegitimate, drug suppliers can influence the outcome of games by threatening to expose their clients--are limited if genuine. All three points stress concerns about honesty and authenticity affecting only the outcome of the game--no cheating to win, no distorted records of personal accomplishment, no pressure to throw games--not the authenticity of the game itself. What is missing is any exploration of why athletic activity and athletic excellence are diminished and dehumanized by the turn to biotechnological enhancements; why the steroid-using athlete cheats not simply his competitor, but first and foremost himself and those who cheer for him. The report leaves unexplored and undescribed what makes doping shameful and degrading, both for the athletes who engage in it and the culture that fails to oppose it. And it never probes or captures, by image or argument, what makes human sport at its best a realm of excellence and grace, ennobling for participants and spectators alike. Like the Mitchell Report, most discussions of biotechnical enhancement are preoccupied with the novel biotechnologies themselves. Commonplace in such discussions are quasi-Talmudic (and inconclusive) arguments about whether and how, for example, steroid use differs from special diets as a means for increasing the mass of muscles, or how an erythropoietin injection ("blood doping") differs from taking vitamins as a means for increasing the oxygen-carrying capacity of blood. But a deeper analysis of enhancement should begin not from assessments of the technical means, but from explorations of the desirable ends. Only if we have a clear idea of the nature and dignity of human activity, in sport and beyond, can we see how that dignity is threatened by the age of biotechnological enhancement. (This was the approach adopted in Beyond Therapy: Biotechnology and the Pursuit of Happiness, the 2003 report of the President's Council on Bioethics, which we helped to draft and from which, in this section of our essay and the next, we freely draw.) We begin by examining athletic activity itself, seeking to illuminate the integrity of the athlete; and move then to consider the activity of the spectators, so as to illuminate the integrity of sport and its value for all of us. In athletics, as in other human activities, excellence has until now been achievable only by disciplined effort. For this reason, attaining those achievements by means of drugs, genetic engineering, or implanted devices looks to many people to be a form of "cheating"--not just their opponents but also the game, themselves, and their would-be admirers. Many of us believe that each person should work hard for his achievements, and we look down on those who try to fly high on the cheap. Even if we prefer the grace of the "natural athlete," whose performance deceptively appears to be effortless, we admire also those who overcome obstacles and struggle to achieve their excellence. This matter of character--the merit of disciplined and dedicated striving--though not the deepest basis of one's objection to biotechnological shortcuts, is surely pertinent. Moreover, character is not only the source of our deeds, but also their product. Rowdy children or unruly athletes whose disruptive behavior is "remedied" by pacifying drugs rather than by their own efforts are not learning self-control; if anything, they are learning to think self-control unnecessary. A drug to induce fearlessness does not produce courage. An injection to induce aggressiveness does not cultivate the genuine desire to excel. The reason that cheating should bother us is not simply our love of fairness but, more fundamentally, our admiration for human achievement. We esteem the human doer at his best, especially when he is engaged in those activities, like sport, that invite all human beings to admire the excellence of the few. How did he--a human being just like me--do that? If the answer is steroids, then we come to feel as if the body we admire is less like ours, and we come to believe that the deeds we admire are mere simulations of the human rather than the human at his best. The concern about cheating and bad character thus points to the deeper concern about the nature and dignity of human activity, in sport and beyond. In short: what makes human activity truly human, and what makes excellent human activity truly excellent? In athletics, as in so many other human activities, superior performance is generally attained through training and practice. One gets to run faster by running; one builds up endurance by enduring; one increases one's strength by using it on ever-increasing burdens. Likewise with the complex specific skills of the game--hitting, fielding, and throwing the baseball. The capacity to be improved is improved by using it; the deed to be perfected is perfected by doing it. In many cases, of course, no amount of practice can overcome one's limited natural endowments: nature dispenses her unequal gifts with little regard for any abstract principle of "fairness." Yet however mysterious the source and the distribution of each person's natural potential, the individual's cultivation of his natural endowments is intelligible. As agents and as spectators, we can understand the connection between effort and improvement, between activity and experience, between work and result. We appreciate self-achieved excellence because it flows from and manifests the presence of an active, excellence-seeking self. By contrast, when we use performance-enhancing drugs to alter our native biology--whether to make the best even better or the below-average more equal--we paradoxically make improvements to our performance less intelligible, in the sense of being less connected to our own self-conscious activity and exertion. The improvements that we once might have made through training alone we now make only with the assistance of stimulants or steroids. Though we might be using rational and scientific means to remedy the mysterious inequality or unchosen limits of our native gifts, we would in fact make the individual's agency less humanly or experientially intelligible to himself. The steroid-using athlete certainly gains new physical powers, and the scientist who produced the biological agents of such improvement can certainly understand in scientific terms the genetic workings or physiochemical processes that make it possible. But from the athlete's perspective, he improves as if by "magic." True, steroids (or, someday, genetic muscle enhancement) will enable him to perform at a higher level only if he continues to train. True, as he trains, he still tires, perspires, and feels his (altered) body at work. But as the athlete himself can surely attest, the changes in his body are decisively (albeit not solely) owed to the pills he popped or the shots he took, interventions whose relation to the changes he undergoes are utterly opaque to his direct human experience. He has the advantage of the mastery of modern biology, but he risks a partial alienation from his own efforts. Precisely because he has chosen to be chemically made into a better athlete, his resulting superior performances are not great athletic achievements. A patient to his druggist, less doer and more done-to, he is dependent on outside agents for "his" performance. His doings become, in a crucial sense, less "his own." Why would an aspiring athlete subject himself to such magical transformations? Why would he adulterate his body and dilute his agency in pursuit of a personal achievement, which, once achieved, ironically mocks itself by being less personally his own? The pursuit of an answer will soon lead us to the heart of athletic activity and why we esteem it. In the process, we shall discover that the use of steroids or other biological enhancers is in fact a symptom of a much deeper adulteration. In competitive athletics, the goal is victory--the defeat of the opponent, the display of one's own superiority--usually not only in a single contest but over an entire season. Team success is measured by making the playoffs and then winning it all; individual success is measured by batting over .300, driving in more than 100 runs, or winning more than twenty games in a season. And beyond the contests of this season, the star players also compete against those who excelled in seasons past. Athletes who strive for glory often want to be known as the best ever; and since Mark McGwire and Barry Bonds cannot compete directly against Babe Ruth or Hank Aaron, they do so by compiling higher numbers in the book of records. Over time, athletic excellence becomes defined solely in terms of outcomes: winning rather than losing, breaking previous records, and compiling a stellar statisticum vitae. Some old-fashioned connoisseurs may still watch sports for the love of a game well played; but most fans, encouraged by sports media's mania for keeping score, pay and watch largely to learn and celebrate the result. Once athletic excellence is equated largely with successful outcomes, admired and compensated only for its contributions to the bottom line, it is surely tempting for athletes to seek an extra edge that will increase the chance of victory, boost their individual statistics, and enable them not only to stay in the game but to rise to the top of the ladder. If their native powers do not suffice or begin to decline, they will be only too happy to seek magical means of getting a better or a different body, all in the service of the longed-for final results. Yet the dignity and the worth of athletic activity are not defined only by winners and losers, faster and slower times, old records and new. It is not simply the separable, measurable, and comparative result that makes a performance excellent. It is also the humanity of the human performer. Excellent athletic activity seems to have a meaning--the human body in action, the grace and rhythm of the moving human form, the striving and exertion of the aspiring human athlete--that is separable from competition, even when the athlete is competitively engaged. What matters more than the measurable outcome is the lived experience, for doer and spectator alike, of a humanly cultivated gift, excellently at work, striving for superiority and with the outcome in doubt. Animals, after all, also run, often quickly and gracefully, doer and deed seamlessly united. The average cheetah runs much faster than the fastest human being. But we do not honor the cheetah in the same way we honor the Olympic runner, because the Olympian runs in a human way as a human being. We admire the cheetah's grace and beauty, but we do not esteem its performance. The cheetah cannot help but run fast, and should he catch his quarry he will not have run in vain. The human runner, by contrast, must cultivate his gifts in order to perfect them, and although the race is to the swift, his distinctive humanity is on display throughout, win or lose. Racing itself is a human achievement, for each runner alone and for all runners together. For this reason, in assessing athletic performance, we do not in fact separate what is done from how it is done and who is doing it--from the fact that it is being done by a human doer. And we should not separate the score from the purpose of keeping score in the first place: to honor and to promote a given type of human accomplishment whose meaning is in the doing, not simply in the scored result. Tomorrow's box score is at most a ghostly shadow of today's ball game. The record book's statistics are anything but vital. Athletic contests are live human dramas, compressed versions of the overall human drama, in which desire and drive are of the essence. A game comprises more than competing moves calculated for, or justified solely, by the result. Consider the best human chess player playing against a chess-playing computer--an outstanding human being facing off against an outstanding human artifact. Are man and machine really "playing chess"? On one level, they are indeed playing the same game, making intelligible moves according to the same rules. Yet the computer "plays" the game rather differently--with no uncertainty, no nervousness, no sweaty palms, no active mind, and, most crucially, with no desires or hopes regarding future success. The computer's way of "playing" is really a kind of simulation--the product of genuine human achievement, to be sure, but not the real thing: playing chess. By building computers that "play" perfect chess, we change the meaning of the activity itself, reorienting the very character of our aspiration from becoming great chess players to producing the best-executed game of chess. In baseball, similarly, we still run and pitch because running and pitching, while not as fast as roller-skating or using pitching machines, possess a dignity unique to themselves and unique to those who engage in these activities. The runner or pitcher on steroids is still a human being who runs or pitches; but the doer of the deed is, arguably, less obviously himself and less obviously human than his unaltered counterpart. He may be faster, but he may also be on the way to becoming more like an efficient machine or a horse bred for the racetrack than a self-willing and self-directing human agent. To determine the specific difference of a human act or performance, and to identify the qualities that make us admire the performance as a human activity and as the performer's own, comparison with the doings of other animals again proves helpful. In the activity of other animals, there is necessarily a unity between doer and deed; acting impulsively and without reflection, an animal--unlike a human being--cannot deliberately feign activity or separate its acts from itself as their immediate source. But although a cheetah runs, it does not run a race. Though it senses and pursues its prey, it does not harbor ambitions to surpass previous performances. Though its motion is not externally compelled, it does not run by choice. Though it moves in ordered sequence, it has not planned the course. It owes its beauty and its excellence--and these are not to be disparaged--to nature and to instinct alone. In contrast, the human runner chooses to run a race and sets before himself his goal. He measures the course and prepares himself for it. He surveys his rivals and plots his strategy. He disciplines his body and cultivates his natural gifts to pursue his goal. The end, the means, and the manner are all matters of conscious awareness and deliberate choice. The racer's running is a human act humanly done, because it is done freely and knowingly. But the humanity of athletic performance resides not only in the chosenness and the intelligibility of the deed. It depends decisively also on the activity of a well-tuned and well-working body. The body in question is a living body, not a mere machine; not just any animal body but a human one; not someone else's body but one's own. Each of us is personally embodied. Each of us lives with, and because of, certain bodily gifts that owe nothing to our rational will. Each of us not only has a body; each of us also is a body. The truth and the beauty of integrated and embodied human activity are displayed and celebrated in human sport (and also in dance and musical performance). When we see an outstanding athlete in action, we do not see--as we do in horse racing--a rational agent riding or whipping a separate animal body. We see instead a body gracefully and harmoniously at work, but at work with discipline and focus, pushing its limits and displaying its powers, all the while tacitly obeying the rules and requirements of the game. We know immediately that the human athlete is engaged in deliberate and goal-directed activity, that he is not running in flight moved by fear or in pursuit moved by hunger. Yet while the human character of his bodily movements is at once obvious, the "mindedness" of the bodily activity is tacit and unobtrusive. So attuned is the body, and so harmonious is it with heart and mind, that--in the best instance--the whole activity of the athlete appears effortlessly to flow from a unified and undivided being. At such moments the athlete experiences and displays something like the unity of doer and deed one observes in other animals, but with this difference: for humans, such a unity is an achievement. A great sprinter may run like a gazelle and a great boxer may fight like a tiger, but one would never mistake their harmony of body and soul for the brute instinct that spurs an animal toward flight or fight. In the most complex sports--baseball, football, basketball, soccer--many of our most sophisticated psychic and physical powers come into play, visibly and elegantly united. The athlete goes beyond what is animal in man to ascend from acts of the body to acts of mind-body coordination. Man and cheetah both run, but man alone executes a hit-and-run, or dives to catch a sinking liner, or gallops to run down a towering fly ball whose trajectory he has subconsciously calculated correctly after hearing it leave the bat. The expert base-stealer knows how to time the pitcher's delivery to gain an undefeatable head start, and the sharp-eyed base runner knows when to extend a double into a triple and how to complete his feat with an artful slide. Beyond these individual anatomized acts of mind and body, there is the great feat of playing the game itself, both from moment to moment and from beginning to end, in light of the larger whole. Players survey the entire scene as they perform in concert with others, attending to where their teammates are heading and how their opponents are defending. They embody the rules, manage the clock, execute their game plans, and make innumerable strategic adjustments when things go badly. At their peak, the great player and the great team reveal the human difference in its glory. At the root of athletic activity, as of all worthy human activity, is desire or drive or aspiration--every bit as important as talent or training or strategic planning. Our aspiration for excellence, our drive to perform, our desire to do and be something memorable and great, is not finally the product of pure reason or pure will. Neither is it the product merely of our animality. It stems rather from that distinct blending of mind and desire, perhaps peculiar to human beings, called by the Greeks eros, which drives us to make of ourselves something less imperfect, something more noble, something beautiful and fine--something that would be fulfilling, as much as is humanly possible. At his heights, the great athlete longs for more than the spirited conquest of his opponents; he longs for "the perfect game," for perfection itself, for the performance that transcends victory alone. And he pursues this aspiration as himself and (at least to begin with) for himself. No admirable human being would seek excellence on condition that, in order to attain it, he would gladly have to become someone or something else. No sane person would choose to be the fastest thing on two legs if it required becoming an ostrich. Not the excellence of beast or god, or even the excellence of a magically transformed human being, but the excellence of our own embodied share of mankind's vast potential is the goal we should admire. In trying to achieve better bodies through biotechnology, we do not in fact honor our given bodies or cultivate our given individual gifts. Instead we are, whether we realize it or not, voting with our syringes to have a different body, with different native capacities and powers. We are giving ourselves new and foreign gifts, not nature's and not our own. Those who retort that nature's original gifts deserve no special claim on our loyalty--why not become someone else, or even something better-than-human?--would diminish the possibility of personal human excellence in the very effort they make to enhance it. We come here to the great paradox of all human aspiration, which is that it always embraces both the acceptance of the given and the desire for its perfection. In striving to excel in whatever activity, we must seek to make ourselves better than we now are, but we must also continue to affirm our enduring identity, lest we cease being who and what we are trying to perfect. Every athlete's pursuit of excellence implicitly requires accepting, with grace and gratitude, his own body and its natural endowments, which he cannot escape or change without ceasing to be himself. The ironies of the biotechnological enhancement of athletic performance should now be painfully clear. By turning to biological agents to transform ourselves in the image that we choose and will, we compromise our choosing and willing identity itself, electing to become less than normally the source or the shapers of our own identity. We take a pill or insert a gene that makes us into something we desire, but only by compromising the self-directed path toward its attainment. By using these agents to transform our bodies for the sake of better bodily performance, we mock the very excellence of our own individual embodiment that superior performance is meant to display. By using these technological means to transcend the limits of our natures, we deform the character of human desire and aspiration, settling for externally gauged achievements that are less and less the fruits of our own individual striving and cultivated finite gifts. By submitting to the chemists, we become mere placeholders for the tainted records that might one day attach to our name. For what could be more in conflict with athletic excellence, with the body gracefully at work fulfilling its full potential, than the image of the passive patient, chemically dependent on the technological cleverness of others, coveting feats that he can never truly claim as his own and adulation that he does not really deserve? Even should the enhancements of tomorrow prove safe and legal, the shame that now attaches to steroid use would still remain--at least in any honorable society and before any worthy fans. Yet our own worthiness as fans remains an open and largely neglected question, as does the relation of spectator to sport. Athletic activity does not necessarily require spectators. Millions of young and not-so-young people play sports in gyms and on playgrounds, sometimes in organized leagues, often in pick-up games, largely unobserved save by their fellow participants and perhaps a few family members. But spectator sports, both collegiate and professional, are our shared national obsession; they define our perception of sports, and, in turn, they shape the meaning of sport in modern culture. And in those realms, the world of the athlete is inseparable from the world of the spectator; the stage on which athletes perform is inseparable from the audience. For the players, the fans provide encouragement, recognition, and the acclaim that confirms their own superiority. For the fans, the players show how the enormously difficult games we try to play can be played by the best, enabling us vicariously to participate in their attainments. As taste is to genius, so appreciative beholding is to superior athletic activity, mirroring and completing it by allowing it to be properly known and properly valued. Yet there are inherent difficulties in spectator sports, both for the athletes and for the beholders. The fan who comes to see genuine excellence in honorable competition is at the mercy of the integrity--or the lack of integrity--of the athletes and the game. For the athlete who seeks recognition, the honor that he receives is notoriously no better than the judgment and the taste of those who bestow it. The greatest athletes, who know the difference between honor and celebrity, between glory and vainglory, care much more for recognition from a few worthy opponents and connoisseurs than for cheers from an ill-informed mob. Although most professional players take inspiration from the fans as "our extra man," playing to the crowd and satisfying its tastes is at bottom a deformation of athletics, an adulteration imported from the theater. Showing off while playing the part of someone else is the essence of theater; shining forth being oneself at one's best is the heart of sports, worthy of being seen. Many of us fans can vividly remember the greatest performances of Roger Clemens on the mound and Marion Jones on the racetrack--the two 20-strikeout games (against the Seattle Mariners in 1986 and against the Detroit Tigers ten years later), the 100-meter final in Sydney in 2000. We remember Mark McGwire's besting Sammy Sosa in the home-run derby of 1998 to reach a new season record of 70, and we recall seeing it broken only three years later when Barry Bonds hit numbers 71 and 72 in one game, just two days before the end of the season. As spectators, we witnessed human excellence in the flesh--the striving body at work, beautiful to behold, and the spirited competitor at play, dominating opposing batters or rising above his rivals. These performances filled the most devoted fans with euphoric pleasure, and even elicited the admiration of those who cheered for the defeated. Greatness is greatness, even when it is not our own. And some of the spectators whose lives were elevated by these great performances never lived to see the fall of their heroes. They beheld them in ignorance, memories forever sweet. The curtain was never lifted to reveal the hidden syringe that gave the steroid-dependent victors their "edge." In a marvelous recent book titled In Praise of Athletic Beauty, Hans Ulrich Gumbrecht pays moving tribute to the aesthetic excellence of great athletes and describes the deep human satisfactions that great athletic performances give to those who watch them, whether as partisans or as connoisseurs. Yet like the fan who never lives to see the curtain lifted, we are left to wonder: might the use of performance-enhancing drugs enhance the experience of the spectator, even as it compromises the integrity of the athlete? For the beauty-loving fan who watches in ignorance, the performance of athletes on steroids is no less beautiful or impressive. For the victory-loving fan who watches in ignorance, the victory is no less sweet. And for the entertainment-loving fan who watches in ignorance, the pleasure-giving spectacle of sport is not diminished. And yet, when we see Marion Jones heading off to prison and Roger Clemens facing his inquisitors in Congress, we, as spectators, feel wronged. Our heroes turn out to be villains; the retired numbers on the backs of their jerseys get replaced with a scarlet "HGH" on their foreheads; they have soured the pleasure we once took in remembering their feats, and cheated us out of our unadulterated admiration for their excellence. But right as we are to feel wronged, we spectators may well bear some responsibility for the degradation of our heroes. Right as we are to feel cheated, we have also created a culture that demands new records and greater spectacles and that worships victory at (almost) any cost. To restore the "integrity of the game," we need to recover why sport matters to us as a society--why the games men play are a serious business, capable of shaping our characters and our souls, for better and for worse. The adulteration of sport today is owed, of course, partly to the fact that spectator sports are, quite literally, a serious business--a multibillion-dollar serious business--not only for the professional athletes but even more for the agents, the team owners, and the television networks. The tastes of the fans are, to say the least, not entirely of their own making. The huge salaries and bonuses, the marketing of the players and the paraphernalia, the pre-game slam-dunk or home-run-hitting contests, the reduction of the game to the highlight reel replayed endlessly on round-the-clock sports channels (the major channel is aptly called "EntertainmentSPN'), the hyping of homer derbies and record chasings, the exploding scoreboards and raucous entertainment between innings or at half-time, the compulsory celebrity appearances before and after the game: all these profit-driven activities help to shape the tastes and judgments of the fans, whose tastes and judgments in turn transform the shape of the game and the way it is played and appreciated. Fandom may have become a marketable commodity, but in its essence it remains something noble, and it has deeper roots and significances. Most fans become sports enthusiasts when they are young. And the young are "fan-atics" in the primordial sense: patriots for their team, worshippers of their heroes, amateurs who seek to imitate the pros. The young learn to play the games they watch, and they love to watch the games they play. For many, this loyalty to their team persists for the rest of their lives: as adults they may settle down in New York City, but they remember taking the bus to see Carl Yastrzemski play at Fenway, and they will remain devotees of "Red Sox nation" unto death. Fandom is a kind of patriotism--a devotion to one's own, for better and for worse, combined with a thirst for victory, especially against one's greatest rivals. A few years ago, in a discussion in Washington on "making patriots," Irving Kristol remarked that "if you want to make patriots, make your kids join a sports team." The fans want to participate in the thrill of victory, even if it means accepting, year after year, the likelihood of defeat. One of the authors of this essay is this year entering his seventh decade of rooting for the White Sox--and rooting against the Cubs and Yankees--with only one World Series victory to show for it, a victory that he cherishes especially because it proved that not all hope is foolishness. Fans feel, emotionally and even physically, part of the game. They jump from their seats; they scream at the television; they threaten the referees; they dance in the streets. Yet the modern culture of sport complicates the fan's experience of loyalty. Not only do players jump from nation to nation in search of the best salary, so that today's Red Sox god is tomorrow's Yankee devil. Today's hunger for victory easily degenerates into a belief that all is fair in sport and war. Those who might feel cheated to learn that Clemens was on steroids may well, in the final inning of the final game, have willfully looked the other way so that they could have their victory parade. In sports today, we face the challenge of preserving the virtue of loyalty in a culture of infidelity; and we face the challenge of moderating the love of victory by the love of honor. In a culture that rewards or tolerates victory without honor, the fans wrong the players as much as the players wrong the fans. The players do what they have to do to deliver us the victories that we demand, and we look the other way, trying not to see the infractions and debasements--not only illegal steroids and corked bats, but "taking out" the quarterback or pirating your opponent's game plan--that may have helped to gain the victories that give us so much pleasure. Only when the evidence comes out do we vilify the athletes who did what they did in their quest for our admiration, knowing full well what gaining that admiration often requires. We may condemn our athletic heroes for using performanceenhancing drugs, but we are in fact complicit in their corruption, for we have created a culture that encourages the use of cosmetic surgery, Botox, Viagra, and other tools in our growing arsenal of bio-magic to remake our bodies in the image of our fantasies. If all we seek from our athletes is entertainment alone--a good show--we will eventually snicker at the means they use to satisfy us. If what most delights us is seeing the ball fly out into San Francisco Bay or the pitching radar gun recording more than 100 miles per hour, we will be indifferent to how such results are attained. Human sport will become a strange hybrid of dog racing, fantasy wrestling, and the circus freak show, with men and women programmed to perform at the highest levels that science makes possible, and a society of mere spectators who do the wave and roar their approval at feats that defeat the reason anyone plays and honors sports in the first place. Sport is a species of play, but it is not a frivolous activity. Our games serve no utilitarian purpose. They do not feed the hungry, or cure the sick, or shelter the cold. In part for that very reason, however, sport belongs to a superior domain of human activity: activity done not for the sake of something else, but for its own sake. Like all play, sport is essentially valuable as an end in itself, not just for some result or consequence, whether victory or profit. It belongs not to the realm of necessity, but to the realm of leisure, of freedom, of cultivation. Sport is gratuitous, one of the domains (like music and the arts) that sets human beings apart from the other animals, as free and perfectible beings who can and do live for more than physical survival and genetic self-perpetuation. Among human societies, those in which play and sport are encouraged have risen above humankind's sober preoccupations with safety, comfort, and gain. Leisure, as Josef Pieper argued in a beautiful book with this title, is the basis of culture, and the cultivation of our embodied excellences--for their own perfection's sake--is one of the marks of a cultured society, one whose citizens celebrate being alive and fit, with coordinated and "mindful" bodies capable of complex and often beautiful movements, improved by the need to test them against worthy rivals. Play is different from mere amusement or entertainment, other activities that are also "ends in themselves." A game, though a pastime, does more than pass the time; and though sport entertains us, its meaning is independent of the pleasure we derive from it. A structured activity, governed by rules and filled with risk and uncertainty, sport invites and rewards not only game-specific skills, but also the indispensable virtues of determination, discipline, courage, endurance, enterprise, perspicacity, and mental toughness. For those who play the game seriously, virtues such as these, once acquired, can be transferred to other realms of life: many a well-coached college athlete in later years praises his coach most for helping him to become a man--responsible, honorable, devoted to making something of himself. For those who watch the game seriously and over the long haul, virtues such as these, once witnessed, can be ratified and admired more generally. Because sport is gratuitous, it is a field of grace: the gracious display of beautiful form, the gracious appreciation of worthy opponents, gratitude for native gifts and efforts rewarded. Yet sport is not simply artful play. Its essence lies somewhere between dance and war, embracing aspects of both. For in sport, men meet on the field of play, a field where only the best men win and where many of the best players are driven primarily by the thirst for victory. The deepest appeal of sport is often the drama of the game--the miracle drive to win as the clock expires, the near-perfect season that ends in tragic defeat, the return of the fallen champion to glory. The fascination of sport lies in the moment of truth, when some rise and some fall, some perform and some choke. Here in microcosm, the human drama is on display, with all its pathos and possibility. Liberated from the cares of everyday life, spectators are given privileged access to some of life's deepest truths. For three periods or four quarters or nine innings, we behold the human story without the pathos of our own lives bearing down upon us. We watch athletes accomplish seemingly superhuman things--things we could never do--which we therefore hold in awe. And yet even our best athletes embody the possibilities and the limitations of a finite and vulnerable human body, whose possibilities they are striving to perfect, whose limitations they are struggling to surmount. Our spirit soars with the few who succeed--and the kid in us will always love a winner. But as we mature, we come also to respect the many more who try and fail, who rise and fall, as human beings just like us. Even the immortals one day retire, and the best do so with grace, standing aside for the next generation of would-be heroes. Akiyama's smile, I believe, must have come from the feeling that, for a brief moment at least, the opposing pitcher had taken the game of baseball to its highest level, making him, the man at bat who lost the competition, part of this achievement. It was like the smile of the angels that we see sculpted into the stone of medieval cathedrals--art historians believe these smiles signify the angels' happiness at being able to play a role in God's perfect creation. At their best, our greatest athletic events become even more than civic rituals; our stadiums do indeed become cathedrals, and our fandom a kind of worship. And if this is correct, then learning to praise athletic beauty is inadequate to the full human and social meaning of sport. For sport is capable of leading us beyond the aesthetic to the moral and even to the transcendent. The great athlete embodies that perfect unity of gratitude for the given possibilities of his being and pride in the achievements that he alone made possible. If all that matters is athletic beauty, then we should care little about the syringe behind the curtain, so long as what we are allowed to see is still beautiful. But if what matters is the elevation of man through sport, on the field and off, then steroids degrade that which is capable of elevating. With all the problems facing America today, there is perhaps something silly, even trivializing, about Congress devoting its time to performance-enhancing drugs in sports. The gotcha game on Capitol Hill certainly has done little to help us to see the deeper issues involved, or to understand what gives athletes and games the integrity that we all presumably seek to defend. But perhaps the occasion of the Mitchell Report will at least invite us to imagine what kind of society we might become if biotechnical interventions were to become more powerful and more widespread. We might come to see Olympic races and dog races, human runners and running horses, as little different from one another. Well-bred athletes, increasingly here mostly for our entertainment and amusement, might become little more than expendable props. We might lose sight of the difference between real and false excellence, and eventually no longer care about the distinction. Worst of all, we would be in danger of turning our would-be heroes into slaves--persons who exist only to entertain us and meet our standards, and whose freedom to pursue human excellence has been shackled by the need to perform, and to conform, for our amusement and applause. For a while--perhaps indefinitely--we might relish the superior results that only our biotechnical ingenuity could make possible: faster times, better scores, broken records. But we would have gone very far in losing sight of why excellence is worth seeking at all, and how we pursue it as human beings, not artifacts; as aspiring beings, not objects; as proud beings, not shameful ones. For the young fans who grow up in the age of biotechnical enhancement, the danger is greatest. The problem is not only that they will come to imitate their steroid-dependent role models, at great harm to their bodies and futures. The deeper danger is that the young will come to assume that everything fine is really fake; that human excellence is always compromised; that the greatest performances are always an illusion; that the curtain will inevitably be lifted to reveal the chemist lurking in the shadows. A culture that degrades its heroes, especially the heroes of the young, will destroy the very idea of heroism. A society that gets used to steroids in sport will become even more cynical than it already is. A civilization shaped by the possibilities of biotechnical enhancement will erode the twin possibilities of gratitude and excellence. All that will remain are cartoon heroes and high-tech magic acts, and a life devoted to their soul-deforming amusements. The cure for the adulteration of sports, a cultural disease that is already far along, will require much more than the banishment of steroids and other performance-enhancing drugs. It will require a revival--for contemporary Americans, difficult to achieve--of the athletic ideal, seen as a manifestation of the mysterious powers that make us human. It is useful to recall that the athletic contests of the ancient Greeks, conducted at Olympia, had elements of religious festivals, in which the games were celebrated alongside theatrical productions of great tragedies as well as animal sacrifices offered to the gods. Apollonian beauty was in the stadium, Dionysian ecstasy was on the stage and in the crowds, and catharsis and edification were all around. But today, in our sports palaces, without our knowing it--and even without the beer and bratwurst--Dionysus holds court among the fans, while Apollo still manages to shine between commercial television timeouts and the endless reciting of statistics. In our adulterated age, the amateur spirit--the love of the game--is not quite dead. Neither is the disposition to gratitude, as many a winning athlete after a great play points heavenward or after a thrilling victory gives verbal credit and thanks to God, usually to the embarrassment of his television interviewer. Yet in these little gestures, however routine and so often thoughtless, we sports fans are reminded of perhaps the deepest reason why we should honor athletics. In Chariots of Fire, the Scottish runner Eric Liddell, urged by his sister to give up running and return to his work as a Christian missionary in China, explains movingly why he cannot do so. "I believe that God made me for a purpose, but He also made me fast, and when I run I feel His pleasure. . . . To give up running would be to hold Him in contempt." Skeptics may scoff, but the true fans of sports, first listening to Liddell and then watching him perform, nod approvingly, regardless of their theological commitments, or even their lack thereof. They know, the believers and the unbelievers, just what he means. And absent such gratitude for our gifts and the correlative desire to cultivate them honorably to the fullest extent possible, the adulteration of sport will not be overcome, even if the steroid era were to come to an end. Leon R. Kass is the Hertog Fellow at AEI. Eric Cohen is editor-at-large of The New Atlantis.